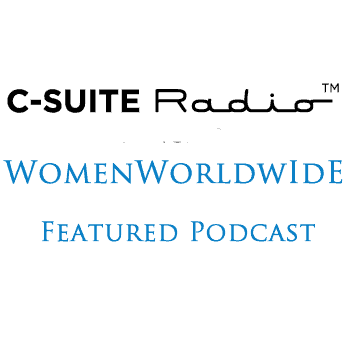 Women Worldwide with Deirdre Breakenridge welcomes Kristin Sollenne to the show. Kristin is a rising culinary star and Food Network Judge. She has been making headlines for her contemporary food philosophy, lightened-up Italian fare, and approachable cooking tips, with regular appearances on WCBS’s Morning News and WLNY’s “Live from the Couch,” as well as a feature on NBC’s “Today” show, Fox5 Good Day New York, and Fox Business. On the show, Kristin shared her journey from having an interest in cooking to becoming a chef, cookbook author, media personality and someone who makes headlines for her contemporary food philosophy. She also discusses what it was like to cook for Taylor Swift and Seth Rogan and the skills you need to succeed as a chef today. A more about Kristin Sollenne …Kristin is also a regular guest judge on Beat Bobby Flay and Kitchen Casino on the Food Network. In 2014, she was featured on season ten of Food Network Star as a mentor to finalist Luca Della Casa and will appear in 2016 as a season finale judge for Food Network’s Worst Cooks in America. She also adds author under her belt with the release of her first cookbook – Domestic Chíc, A Fashionably Fabulous Guide to Cooking & Entertaining by the Seasons. You can learn more about Kristin on her website and connect with her on Facebook.